This paper investigates the use of avatars to communicate live message in e-government interfaces. 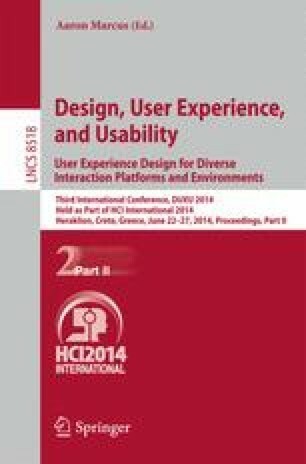 A comparative study is presented that evaluates the contribution of multimodal metaphors (including avatars) to the usability of interfaces for e-government and user trust. The communication metaphors evaluated included text, earcons, recorded speech and avatars. The experimental platform used for the experiment involved two interface versions with a sample of 30 users. The results demonstrated that the use of multimodal metaphors in an e-government interface significantly contributes to enhancing the usability and increase trust of users to the e-government interface. A set of design guidelines, for the use of multimodal metaphors in e-government interfaces, was also produced.